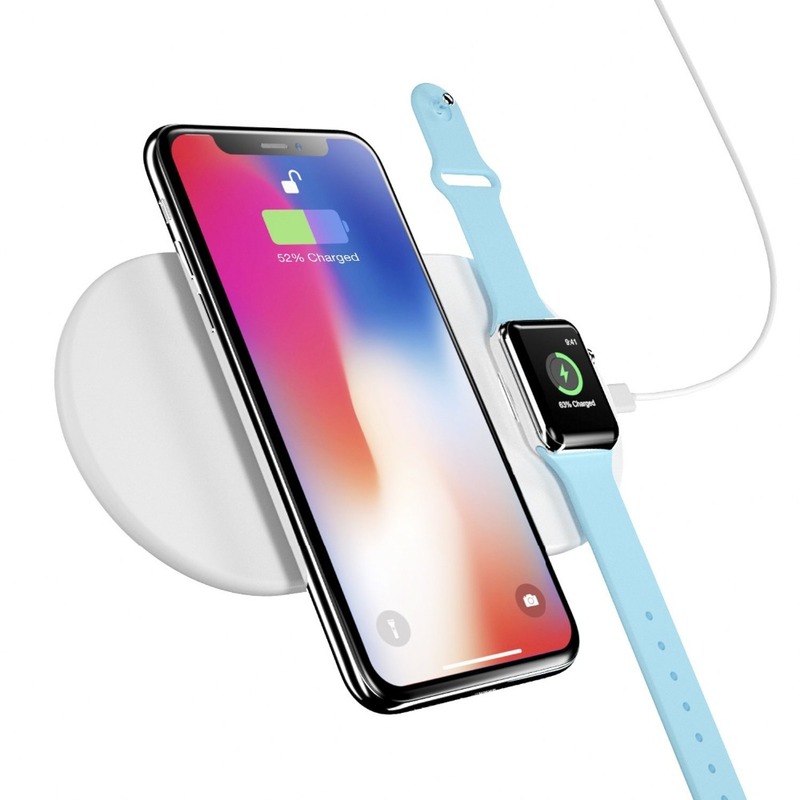 2 in 1 Charger: This wireless charging pad supports for apple Watch Series 1.0/2.0/3.0 and Qi-Enabled devices like for phone X, phone 8, 8 Plus, For samsung Galaxy Note 8, S8,S8 Plus and others to be charged simultaneously. 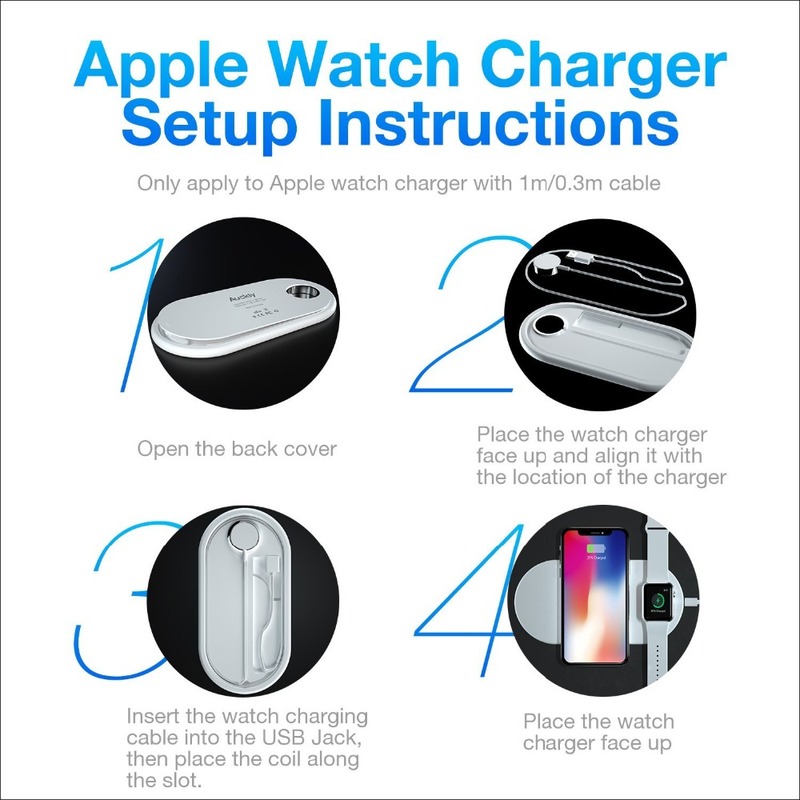 Note: The item NOT include for apple Watch adapter. 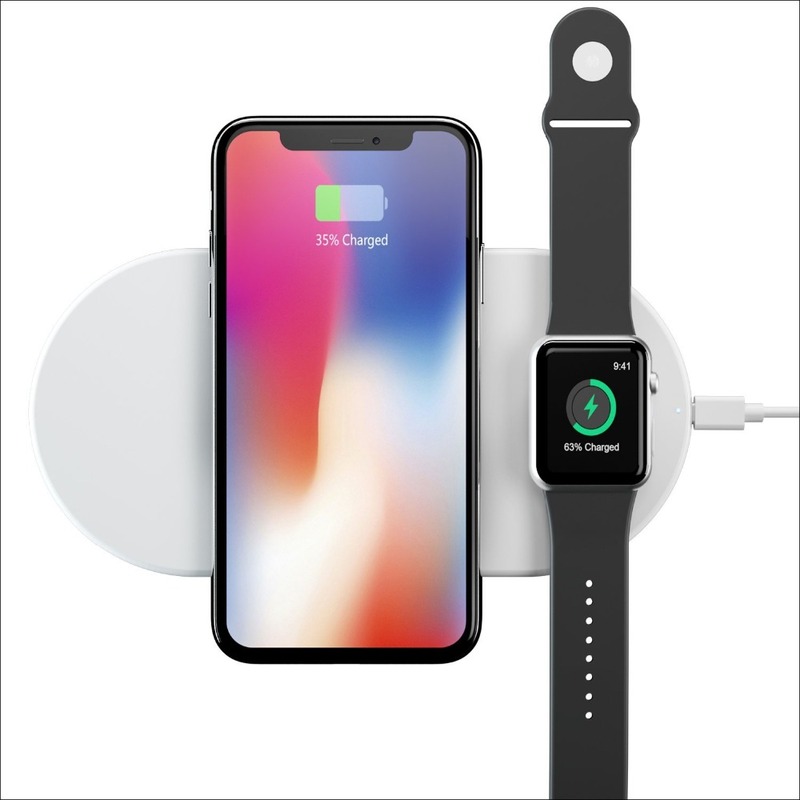 Intelligent Fast Charger: 2w output power for Apple Watch series 1.0/2.0/3.0; 7.5W output for Apple iPhone X / 8 / 8 Plus, or 10W output for samsung Galaxy S9 / S9 Plus / Note 8 / S8 / S7, or standard 5W output for non-fast wireless charge supported phones. Pls Note: Pls use a 15W or higher QC2.0 adapter for fast charge. Tips for Optimal Usage: Charge full throttle by using a 15W or higher QC2.0 / QC3.0 adapter. 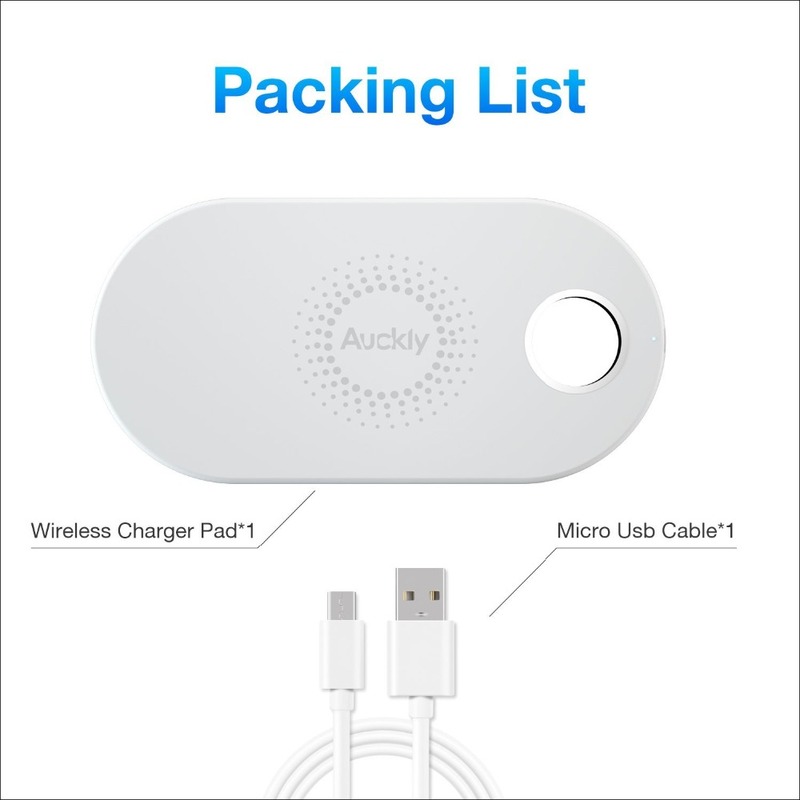 Put the cell phone in the middle which logo position of the item for best charging results. 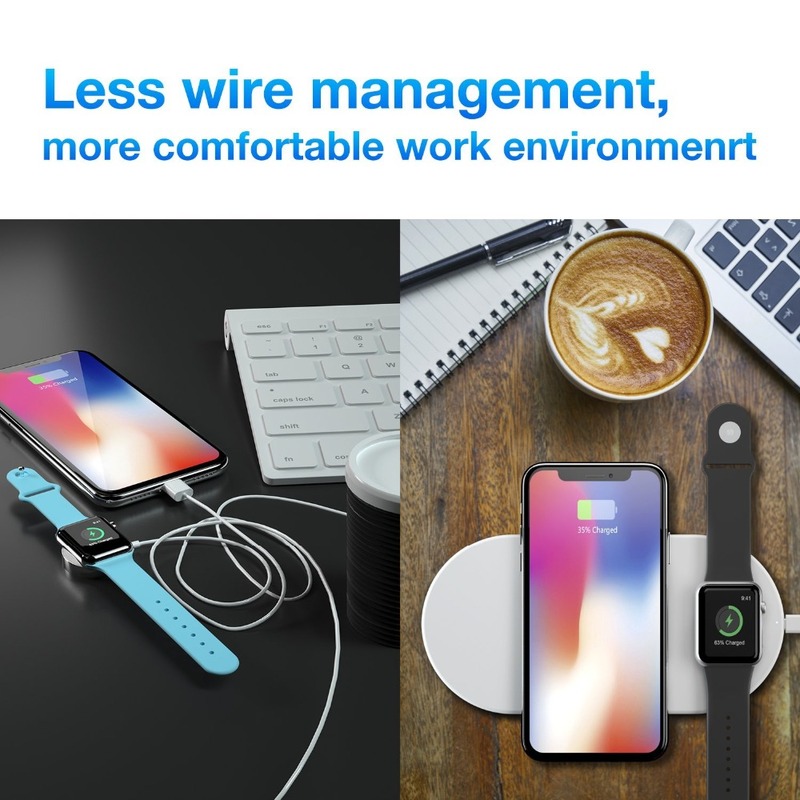 Convenient and Easy: The ultra-thin and Dual charging unit design making charging more simple, you will no longer need take two adapter and never have different wireless chargers all over the place.